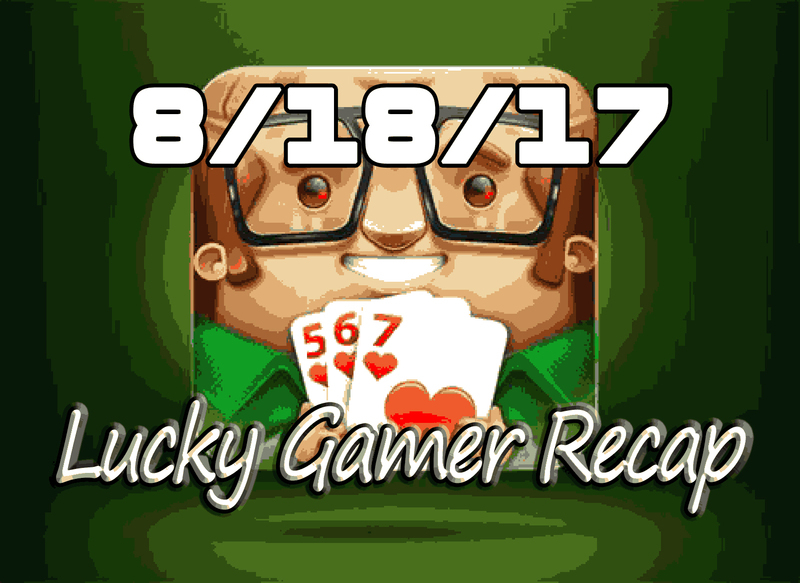 Welcome back for another Lucky Gamer Recap! Now unfortunately this week was kind of dead on the news scene, but I dug deep to bring you the news you deserve. Why? Because, as a fellow Hard Mode Gamer, I care! Also because at this time my life would finish crumbling without something great to look forward to. With that said let’s get right into it! 1. The Final Fantasy Fighting game you never always knew you wanted gets official! Although originally a PSP game (remember that old thing?) that was ported to arcades in japan, Final Fantasy Dissidia is getting a major overhaul and releasing on PS4. Oh yea bring on the fighting greatness. I loved this game on PSP but hated the lack of a second joystick so thats something I’m really looking forward to. Oh, and I guess it’s important to note it comes out on January 30, 2018. Ok, so technicallyy not entirely true but still a whiskey stone cold fact. Sega Announced that the Collector’s edition of Yakuza 6 will come with two Whiskey Glasses, two Ice Stones, and two Tojo Clan coasters (Oh my). The collectors edition retails for $89.99, is available preorder now, and releases on March 20, 2018 alongside the standard version. Guess somebody’s getting hammered while playing Yakuza 6. Do you like news about news? Great, well here you go. Microsoft has officially confirmed that the Xbox One X will be partying hard with all the fine folks attending Gamescon 2017 on August 20th. Not much info has really been heard about the “most powerful console ever made” since it waved its no no square at us during E3 but I’m excited to see what else is in store, because I have to assume they aren’t going to take the stage just show me all the places I can buy one. Oh no, would they do that? 4. Shenmue 3 finally has a publisher attached. This one is actually pretty exciting for me as a kills a few birds with one stone. The first bird is clarifying Sony’s position in this whole mess. Actually I take that back, I have no idea what Sony is doing in this pot. The second bird is clarifying how much of the Kickstarter money was needed and used to actually develop the game. Well, I guess this doesn’t really answer that either. The third bird is proving that this game is actually coming out. Now this one I am super confidant on because the publishing company taking on the task is Deep Silver. Those Deep Silver fellows are the ones who published to incredible games stateside – Persona 5 & Yakuza Kiwami – so i absolutely believe in them. There you have it folks, three birds one stone. One of the most anticipated games of this console generation has been delayed, again. Microsoft announced that Crackdown 3, originally planned for November 7th release, has been pushed backed to “Spring 2018”. That is a major disappointment for people who were really looking forward to an exclusive title for their new Xbox One X. They cited the reason as “needing more time in the oven”. Who do they think they are fooling? I know games aren’t baked in ovens, they are created in deep fryers. Oh well, I guess we’ll just have to find other amazing games to play this year. The developer behind one of the most cult classic cult classics of all time (Deadly Premonition, if you didn’t know what I was talking about you proved my pint) is at it again with a brand new game. Not only is this a new game but it has a title inspired by one of my favorite Kanye West tracks of all time. The Good Life is a mystery RPG that appears to be in line with the developers history of being completely weird. Just to some things up briefly: You play as a girl named Naomi who lives in a town where everyone turns into a cat at night. Your move Kojima. 7. Quake Champions Early Access begins soon. How soon? Well it actually begin next Tuesday August 22nd. Early access will cost you a warm fee of $30 exactly $10 cheaper than waiting for the games full release some day in 2018. I’m not entirely behind this whole “Pay for the demo” concept but for those of you who are, prime opportunity to get the edge on your competition. Oh and I guess it’s worth mentioning along with your demo purchase you will receive exclusive loot chest, skins, and a “guarantee” that at least six new champions will be released between now and the end of 2018. Yea, nope, still not paying for a demo.